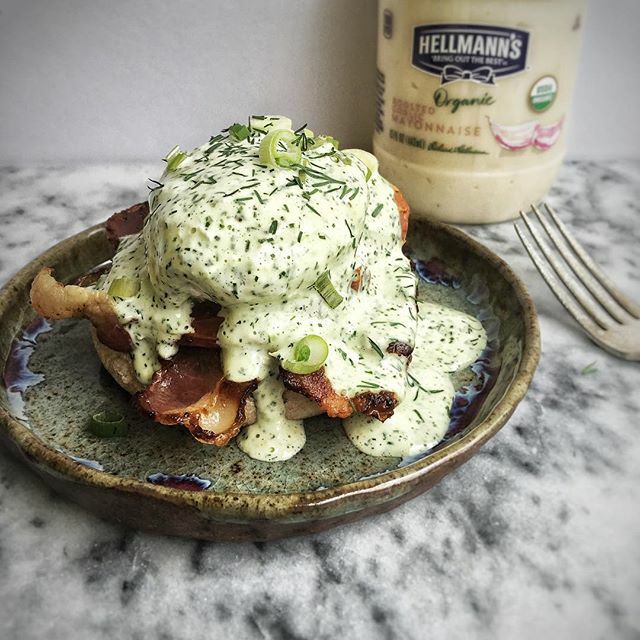 This past summer, we partnered with Hellmann's to launch their line of Organic Mayonnaise made with organic cage-free eggs, organic expeller-pressed oil and no artificial flavors or preservatives. 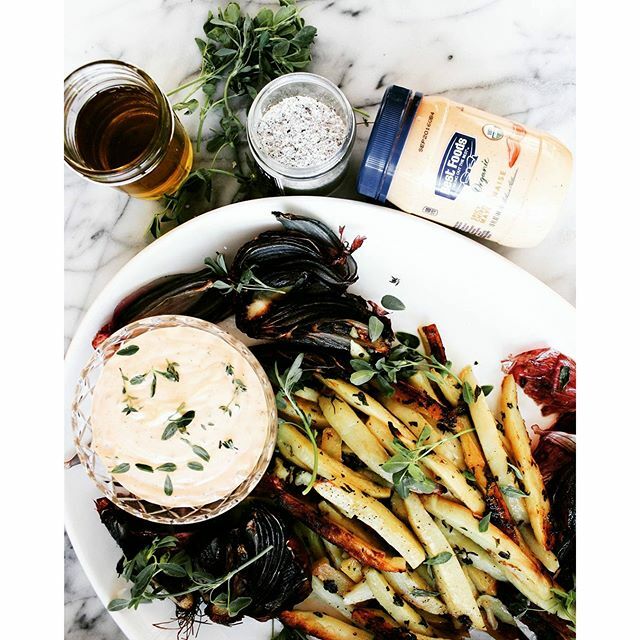 Feedfeed editors and community members created 26 incredible recipes featuring Hellmann's three flavors, Original, Roasted Garlic and Spicy Chipotle, for a round-up of summer recipes utilizing fresh ingredients and unique flavors. 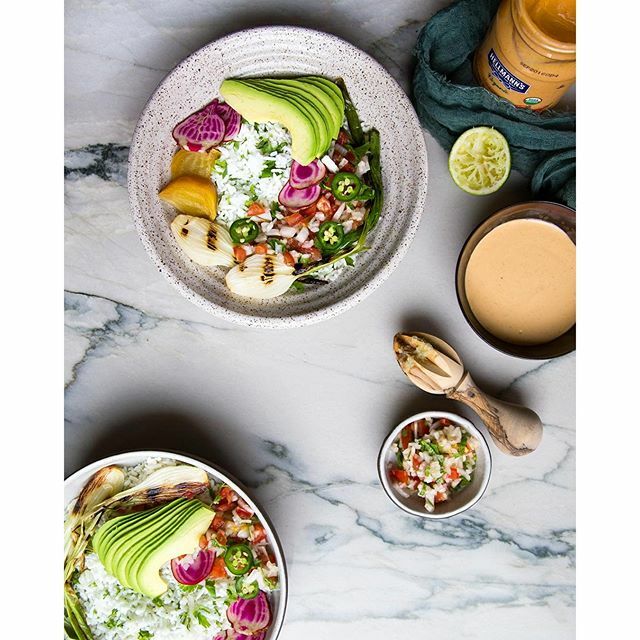 We've found some new go-to recipes in this comprehensive list, like @themodernproper's stunning Southwest Style Cobb Salad with Smoky Chipotle Dressing, @cookingwithcocktailrings' Mini Spicy Lobster Rolls, and @college_housewife's Mixed Berry Chocolate Layer Cake. (Yes, cake! Mayonnaise creates an unexpected velvelty texture and enhances the flavor of chocolate.) 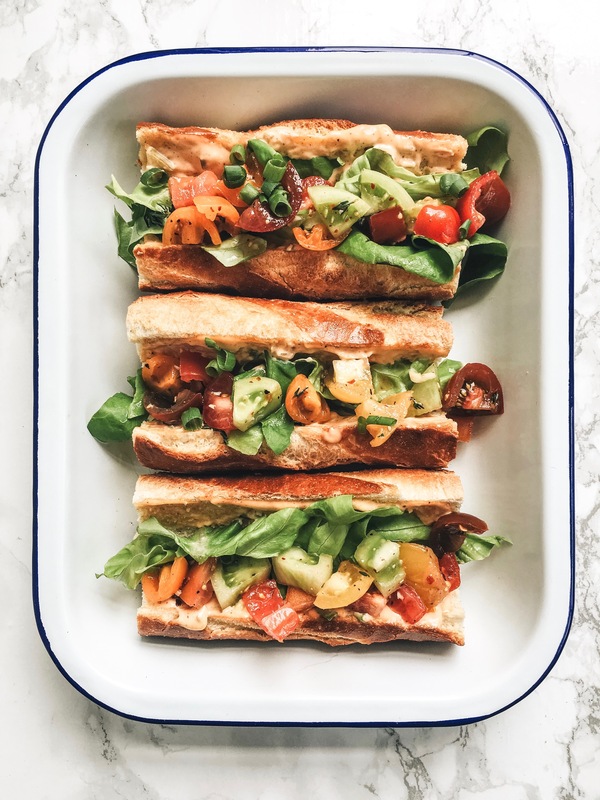 Browse the recipes below to find your new favorite lunch or dinner, or a few dishes to bring to your next summer gathering! 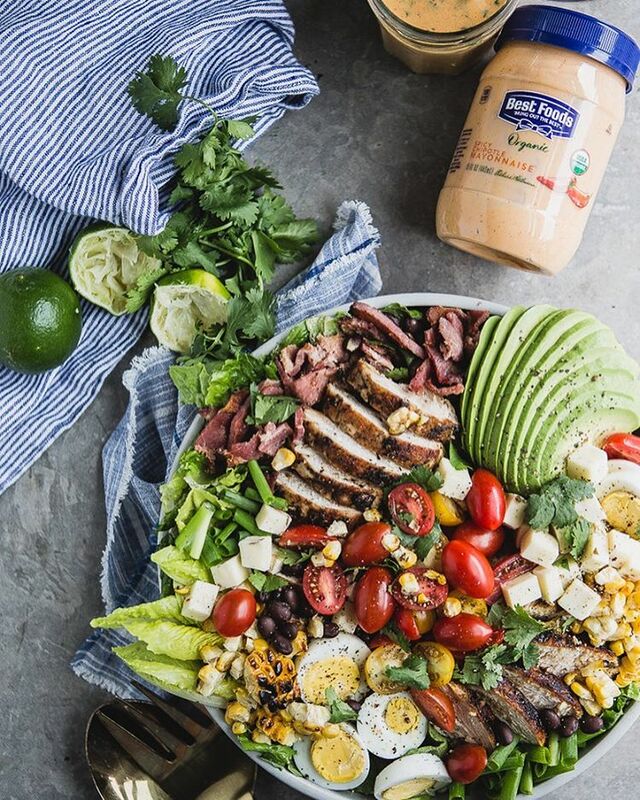 As the @modernproper explains, "This salad is everything your heart desires in one perfect dish and then smothered in what might be the best dressing we've ever created". We couldn't agree more. Grilled chicken atop crisp greens, black beans, tomatoes, corn, avocado, eggs, bacon and cheese; sounds perfect! Master the skill of poaching eggs, and then make this take on eggs benedict for Sunday brunch! 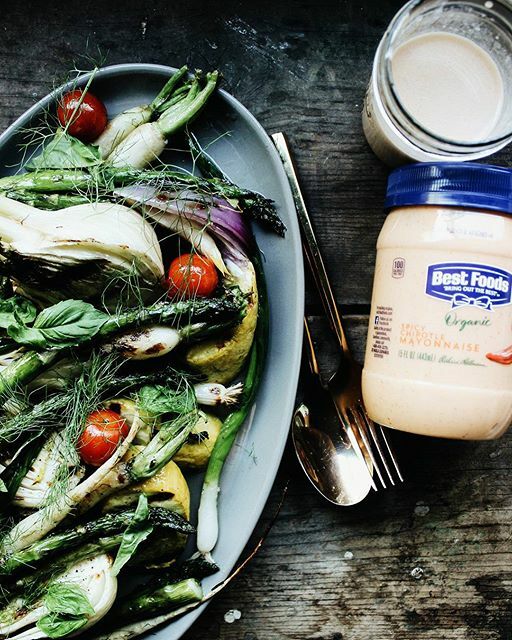 Change up your salad routine by grilling your veggies for a delicious smoky flavor. Paired with a spicy vinaigrette, this salad will be your new go-to this summer! Perfect for busy weeknights, these bowls are easy to throw together and a great way to incorporate more fresh, seasonal vegetables into your diet. Prep veggies for the week, and assemble bowls each day for a quick meal. 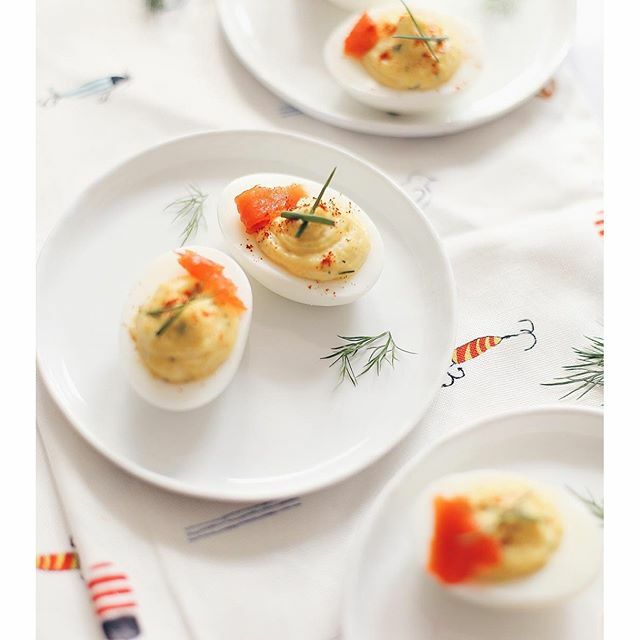 We love the addition of smoked salmon to these perfect deviled eggs. There's nothing about this Po'Boy that doesn't sound good. Crispy shrimp, juicy tomatoes, crisp greens and a zesty chipotle remoulade- we're in! 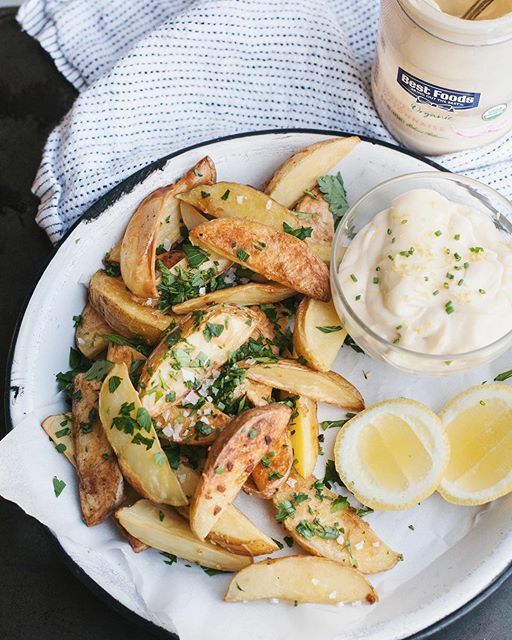 Pair these easy roasted thick-cut wedges and creamy aioli with your favorite burger. 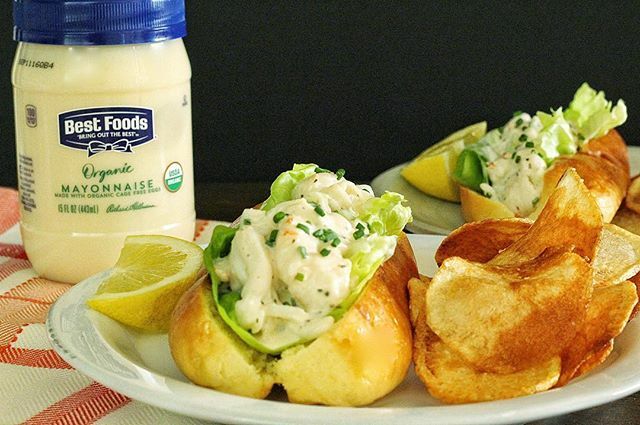 Lobster Rolls are a summer staple on the East Coast, and this recipe makes it easy for you to enjoy one in the comfort of your own home. Bring these to your next summer gathering; your friends and family will thank you! 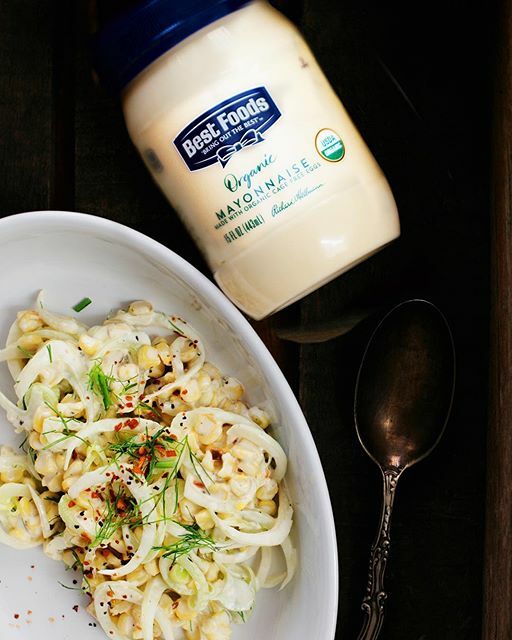 Spicy chipotle dressing is a welcome addition to crisp veggies in this classic French Salad. 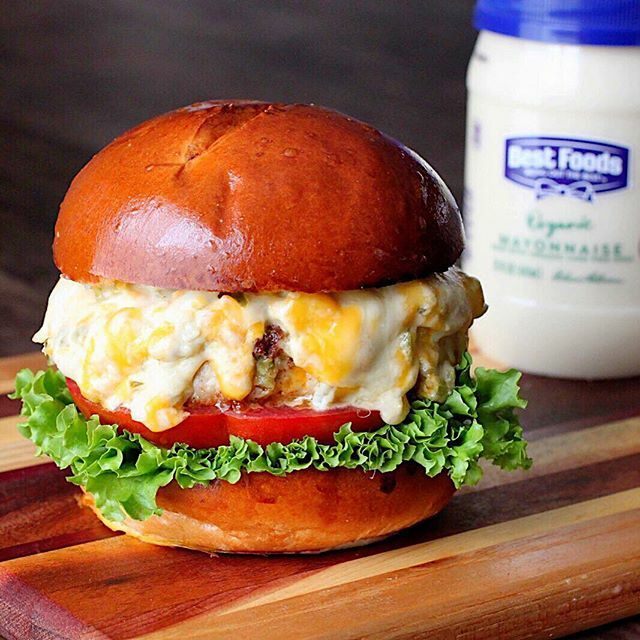 This mouth-watering burger definitely deserves a place in your summer BBQ rotation! 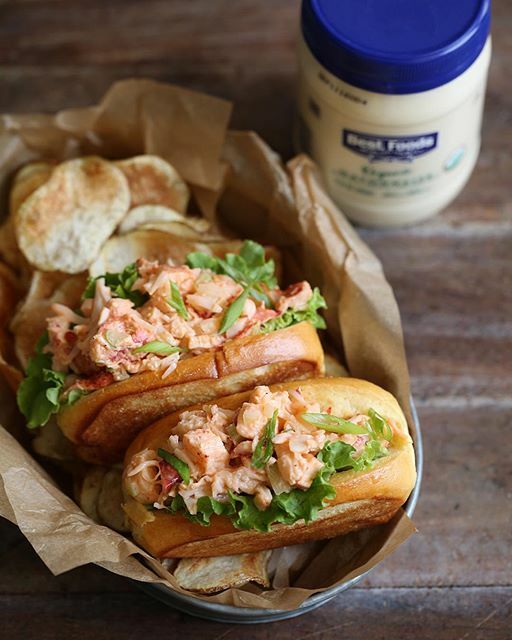 You won't regret keeping it simple with the classic flavors of this Lobster Roll. 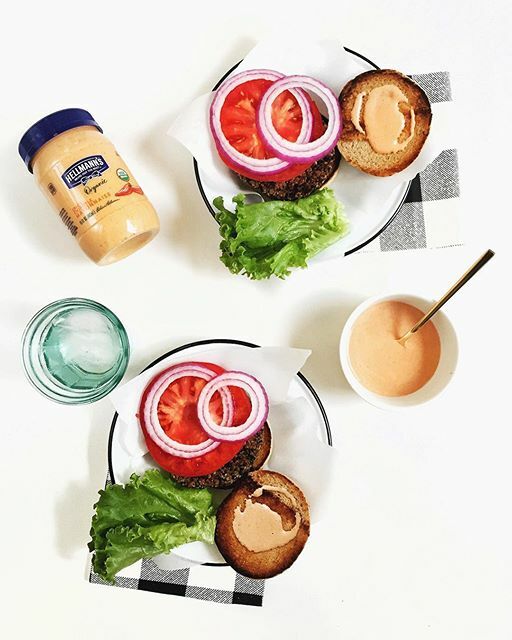 The secret to the perfect burger is this spicy chipotle sauce that lends just the right amount of spiciness and creaminess for exquisite flavor with each bite. A salad to accompany all of your burgers, this grilled corn and fennel salad combines heat, smokiness, and a satisfying crunch. 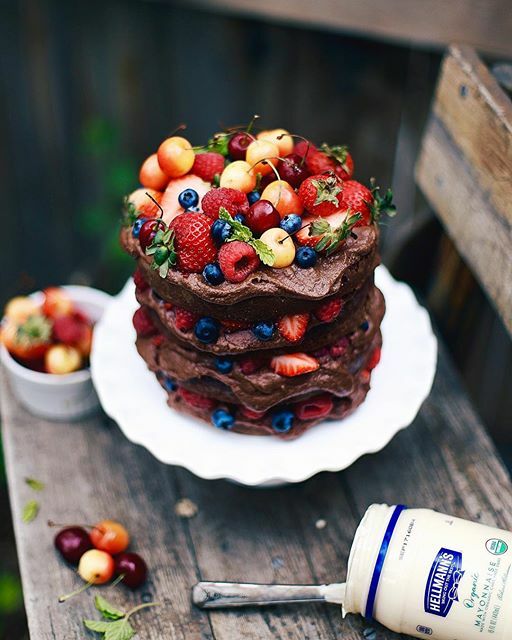 You've probably never thought to use mayonnaise in a chocolate cake, but it adds a surprisingly rich texture and complementary flavor, while enhancing the chocolate. 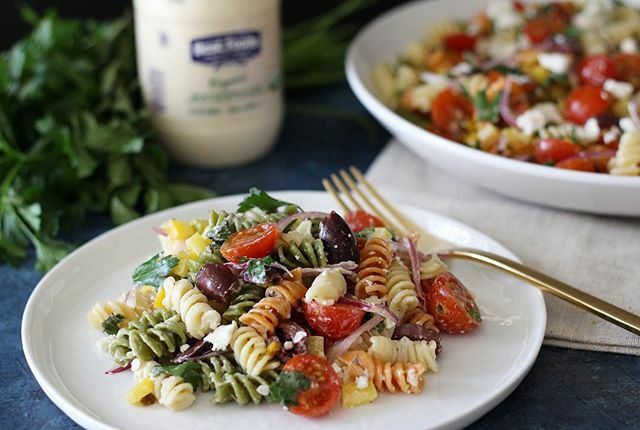 This creative take on pasta salad includes kalamata olives, feta and pistachios. 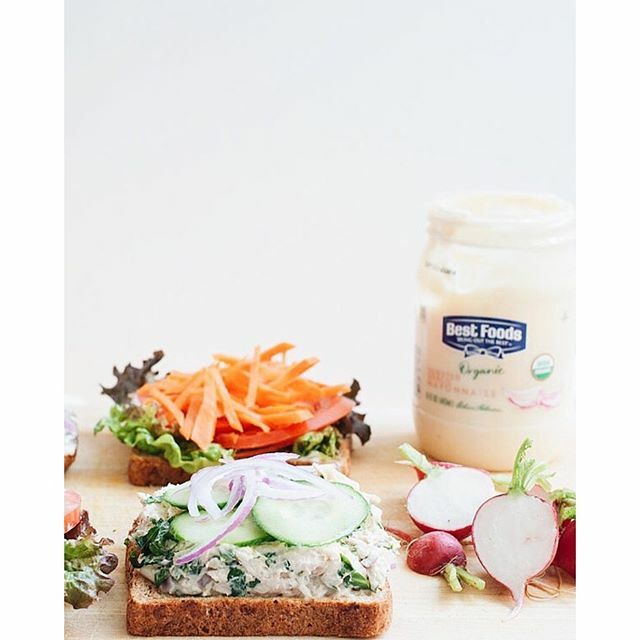 Enjoy this refreshing chicken salad in a sandwich or straight from the bowl as a side dish. 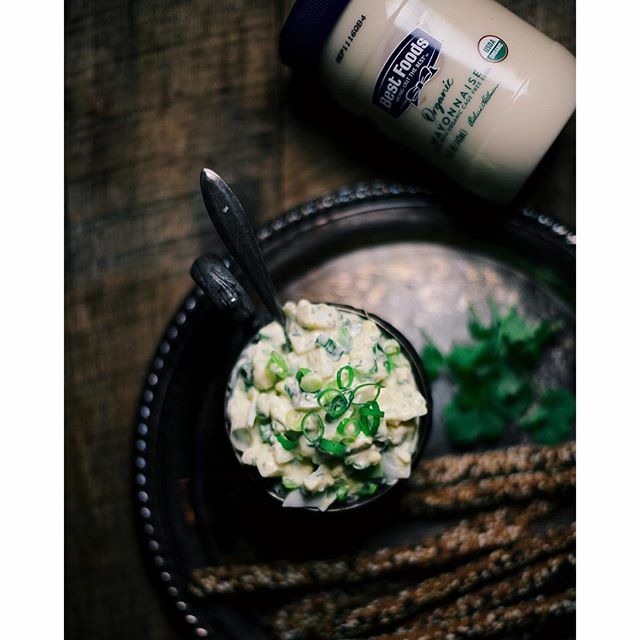 Hellmann's Organic Roasted Garlic Mayonnaise adds an extra kick! 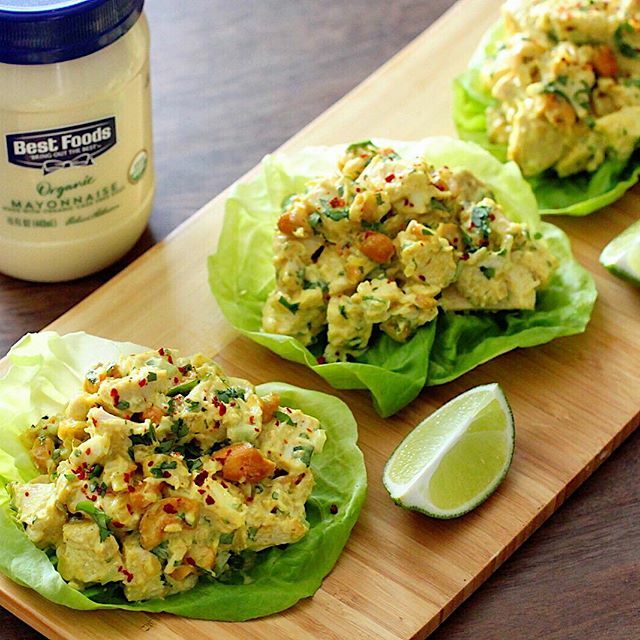 We love this Indian-inspired spin on classic egg salad, with a hint of garam masala toasted coriander seeds for a mild smoky flavor. Lettuce wraps are an excellent healthy dinner for a busy night. Make this flavorful chicken salad ahead of time and let everyone assemble their own wraps. 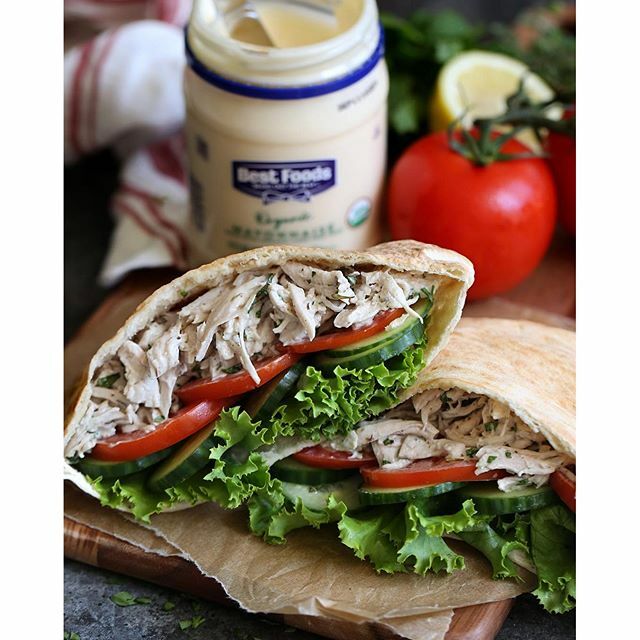 Look forward to your brown bag lunch with this tasty pita sandwich. 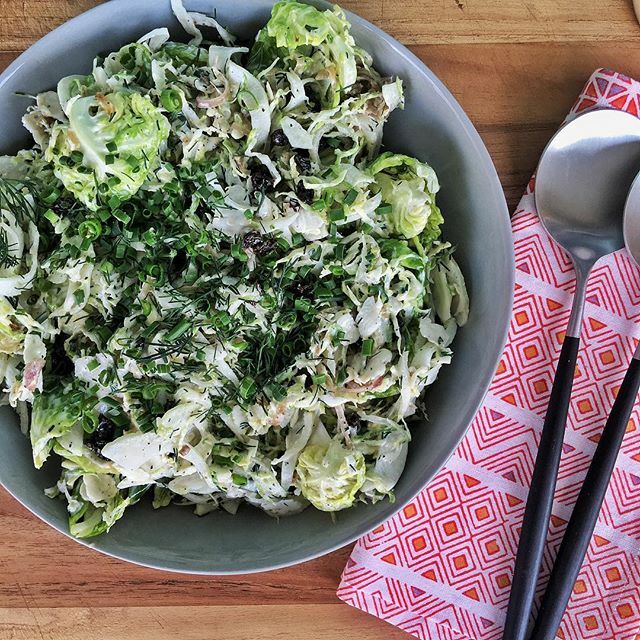 This cruciferous salad packs plenty of flavor with a roasted garlic and shallot herb dressing! 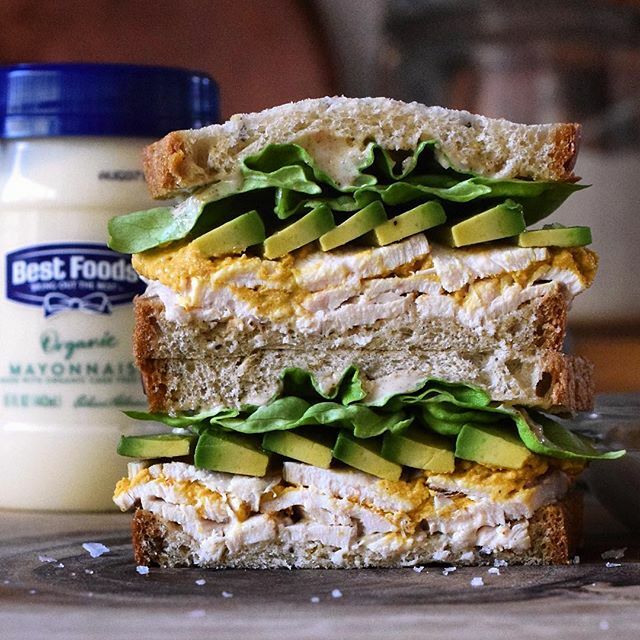 The creaminess of the avocado and spiced mayo pairs perfectly with tender chicken and fresh bread. Sweet potato fries are a satisfyingly sweet/salty side dish, especially when paired with a spicy mayo for an extra kick. Skip the store-bought and make this easy slaw packed with fresh summer vegetables tossed in creamy chipotle mayo. 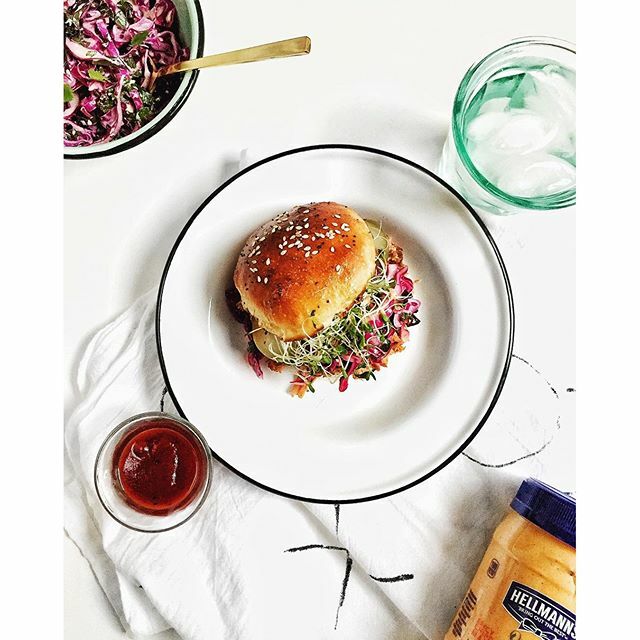 Eat as a side dish or on top of a burger, like @thefauxmartha did here. 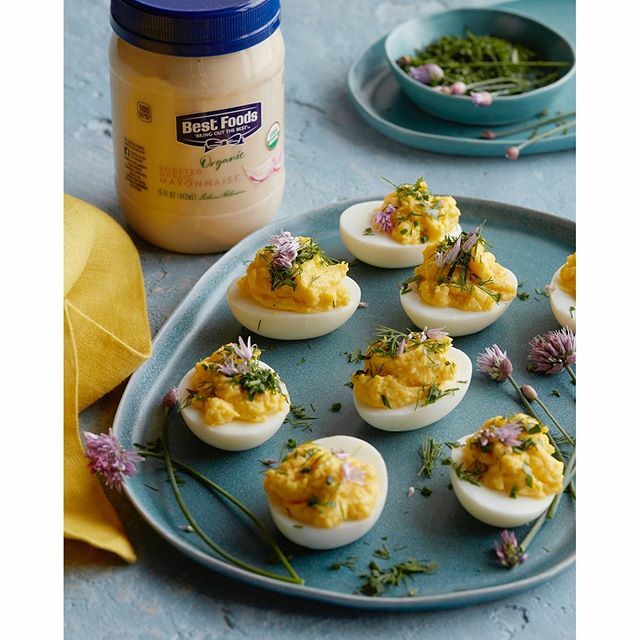 These herbed garlic deviled eggs will disappear quickly at your next summer gathering! 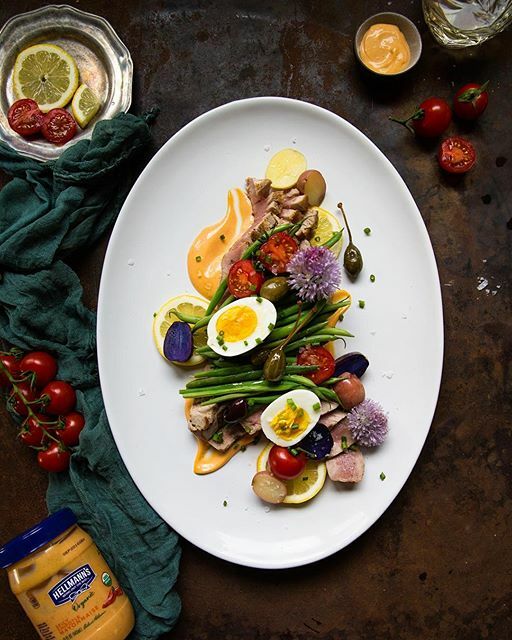 This salad is far from boring. 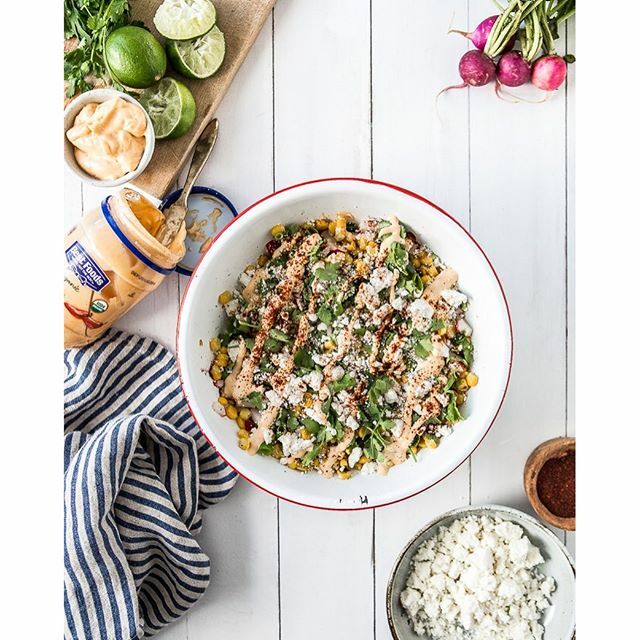 Get all of the best flavors of Mexican Street Corn in one easy salad to feed a large group of people. 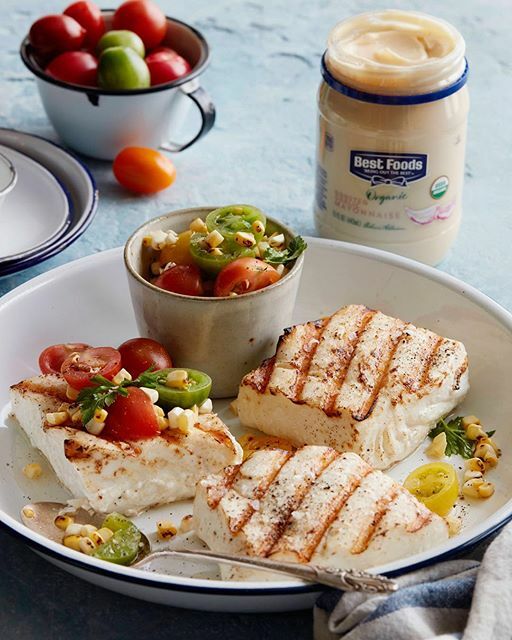 Get out your grill and try this easy, perfectly grilled halibut. A corn and tomato salsa is the perfect fresh topping.